Secreted proteins are among the most important molecules involved in host—pathogen interaction of Mycobacterium tuberculosis, the etiological agent of human tuberculosis (TB). M. tuberculosis encodes five types of VII secretion systems (ESX-1 to ESX-5) responsible for the exportation of many proteins. This system mediated substrates including members of the Esx family implicated in tuberculosis pathogenesis and survival within host cells. However, the distribution and evolution of this family remain elusive. To explore the evolution and distribution of Esx family proteins, we analyzed all available Mycobacteria genomes. Interestingly, amino mutations among M. tuberculosis esx family proteins may relate to their functions. We further analyzed the differences between pathogenic Mycobacteria, the attenuated Mycobacteria and non-pathogenic Mycobacteria. The stability, the globular domains and the phosphorylation of serine/threonine residues of M. tuberculosis esx proteins with their homologies among other Mycoabcteria were analyzed. 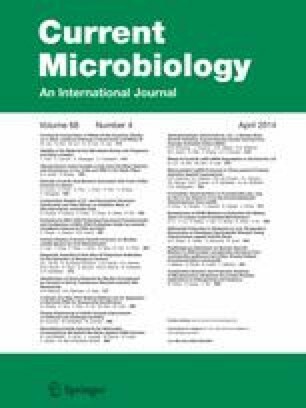 Our comparative genomic and proteomic analysis found that the change of stability, gain or loss of globular domains and phosphorylation of serine/threonine might be responsible for the difference between the pathogenesis and virulence of the esx proteins and its homolog widespread among Mycobacteria and related species, which may provide clues for novel anti-tuberculosis drug targets. The online version of this article (doi: 10.1007/s00284-013-0507-2) contains supplementary material, which is available to authorized users. This work was funded by National Natural Science Foundation (Grant Nos. 81071316, 81271882, 81371), National Megaprojects for Key Infectious Diseases (No. 2008ZX10003-006), New Century Excellent Talents in Universities (NCET-11-0703), Excellent PhD thesis fellowship of southwest university (Grant Nos. kb2009010 and ky2011003), the Fundamental Research Funds for the Central Universities (Grant Nos. XDJK2012D011, XDJK2013D003), Natural Science Foundation Project of CQ CSTC (Grant Nos. CSTC, 2010BB5002). The Chongqing Municipal Committee of Education for postgraduates excellence program (No. YJG123104, No. ), The Undergraduates Teaching Reform Program (No. 2011JY052).